We strive to impact where we live and work in positive and meaningful ways. 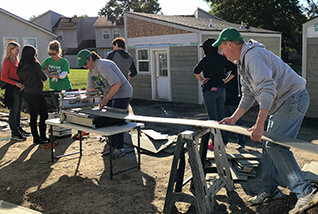 That’s why we come together throughout the year to lend a hand to local organizations who make a real difference in peoples’ lives around Kansas City. Veteran’s Community Project is our official charity of choice for 2019. Find out more about “Why VCP” by viewing this brief video featuring our CEO, David Cooper and, the VCP facilities manager, Brandonn Mixon. To learn more about the organization visit www.veteranscommunityproject.org. 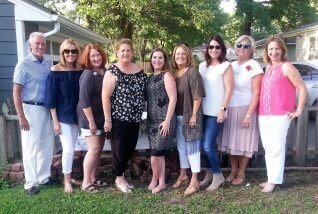 Our agents are committed to helping raise money for VCP to build tiny homes and have enthusiastically done so through various fundraisers ranging from bake sales to pickle ball tournaments. After surpassing our initial goal of $30,000 in 2018 to build two tiny homes. Our ambitious agents have now set their sights on a new goal of $50,000 to sponsor the kitchen in the community center located in Veteran's Village. 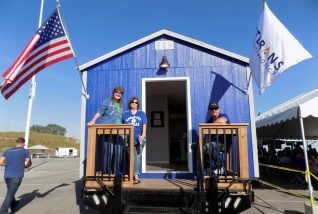 With a vision to establish the first Veterans Village at 89th and Troost, and populate it with 50 tiny homes, Veterans Community Project strives to eliminate veteran’s homeliness in Kansas City and beyond. If you’re thinking about buying or selling your home, you probably have a million questions. Fortunately, we’re here to answer every one of them. Just ask.